Nurse.org impacts the lives of nurses and nursing students by publishing thought-provoking content and launching culture-changing initiatives. Angelina has her finger on the pulse of everything nursing. Whether it's a trending news topic, valuable resource or, heartfelt story, Angelina is an expert at producing content that nurses love to read. She specializes in warmly engaging with the nursing community and exponentially growing our social presence. Blake Lynch, aka "Nurse Blake," became a Facebook sensation after inventing the fictional Scromper. Millions of views later, Blakde now helps the Content Team reach nurses with engaing video content. Whether it's speaking at a nursing conference or thinking about the next video topic, Blake enjoys empowering the nursing community with wisdom about how to advance their careers and engage in a more fullfulling #nurselife. Brittany a travel nurse on assignment in the amazing city of San Francisco. She specializes in Pediatric Oncology, Hematology, Neurology, and Epilepsy. When not working at the hospital or writing articles for Nurse.org, she enjoys playing beach volleyball or exploring the crazy beautiful nature around her. She loves a good adventure, and is currently planning her next big trip - trekking Patagonia in South America in December 2018. Travel nurses have the most fun! 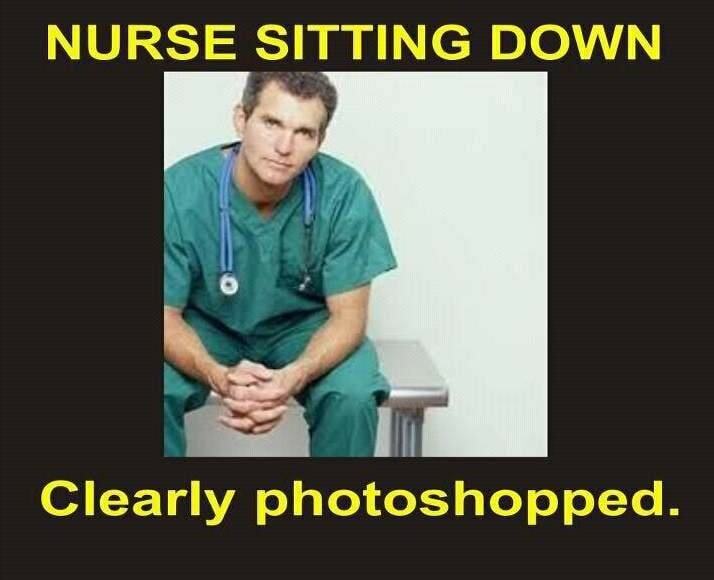 Like many nurses, nursing was not Cameron's first career choice. He took an untraditional path to become a nurse that started out as a Medical Assistant then as a Firefighter/EMT before finding his calling in critical care. Today, he works as a travel nurse, critical care transport nurse, teaches ACLS/PALS, and writes a blog to mentor new and current ER nurses. Chaunie is a nurse-turned-writer and founder of The Stay Strong Mom, curated gift boxes for women facing pregnancy loss. Her work has appeared everywhere from The New York Times, The Washington Post, SELF, to Real Simple and more. Chaunie lives with her husband and kids in the middle of a hay field in Michigan and she doesn't miss night shift one bit. Danielle is an CVICU Nurse Practitioner, blogger, speaker, writer, and social media influencer, who strives to empower and inspire nurses from all backgrounds to partake in regular self-care and multidisciplinary teamwork for the sake of providing optimal patient care. Follow her on Instagram and Facebook for her latest. Kathleen (nee Colduvell) is currently a Pediatric ICU nurse at Children’s Hospital of Philadelphia. She has been a nurse for ten years and specializes in ICU care. She has an extensive ICU background having formerly worked in the CICU and NICU at several major children’s hospitals in the Philadelphia region. Nursing is a second career after having worked as a journalist for many years and becoming nationally published. She is Trauma certified, a Certified Breastfeeding Counselor, and Total Body Cooling Certified. Kathleen lives with her husband and her two German Shepherds. She currently is enrolled in the MSN-Education program at Loyola University of New Orleans. Mariam is a writer and travel nurse from El Paso, Texas. After three years in the ICU, she hit the road with her husband and two pups, living in San Francisco, Tennessee, and Los Angeles. Currently in New York City, Mariam is a nurse journalist for Nurse.Org. Catch her on Instagram @mariamcat. Portia is an experienced nurse, millennial strategist, freelance writer, and rising influencer. As a contributing writer she is sought out for freelance writing services penning on topics including nursing, healthcare, entrepreneurship, and the ever so intriguing millennials and post-millennials. A devoted mother to one son, she actively participates in his extracurricular activities and is the team mom of multiple sports teams--while her son juggles competitions, piano lessons, and is an honor student. A little-known fact? Portia has an extreme phobia of escalators. Follow Portia on Instagram, Twitter, or Linkedin for her latest. Wali Khan is a Chicago based trauma resuscitation & ICU nurse in one of the busiest Level I trauma centers in the country. His writing entails a powerful narrative and perspective on the balance between faith and medicine. Passionate about nursing, faith, community service, he uses his voice on social media to highlight the intersection between the three. As an immigrant and first generation college graduate, his journey entails a story of perseverance, balance, and compassion that students and practitioners can relate to. With a previous career as a personal trainer, his lifelong commitment to health and wellness, he inspires and encourages his fans and followers towards an empowered and healthier life.